Recent headlines from some U.S. states of a possible kratom ban is unwelcome news for fans of the herbal remedy and mood enhancer across the country. While the FDA has currently made it illegal to market kratom as a health product or nutritional supplement, this herb is still legal in the US. In other words, it is restricted but not controlled. However, some state legislatures are now considering stricter laws that may prevent you from being able to buy it at all in the future. What is behind this latest attempt to control the trade and use of a popular alternative medicinal? 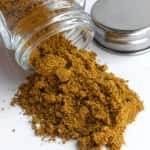 Without any scientific basis for the prohibition of kratom in America, a ban would most likely be motivated by politics, or simply ignorance of the true facts concerning kratom safety. Hopefully, this tide of misinformation won’t spread beyond the few states currently affected. First, let’s see why the lawmakers are getting it wrong. No one knows exactly when kratom use began, as it was most likely long before any modern recorded history as we know it. 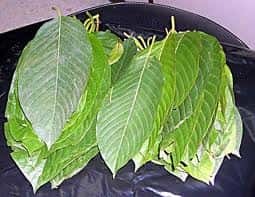 For as many as thousands of years into the past, the native people of Southeast Asia have been aware of and used the leaves of the kratom tree for medicinal and social purposes. The tree still grows abundantly in the rich rainforests of the regions we now call Indonesia, Bali, Vietnam, and Malaysia. Tribal cultures used the leaves in ritual and as a part of daily life, perhaps in the same way we enjoy coffee today. The stimulating, energy boosting and balancing properties of kratom leaves were a staple of many regional cultures. Kratom began its journey into the modern world when a Dutch botanist sampled and named the plant in the 1830s. From that point forward, kratom has been increasingly introduced and accepted as a medicinal herb with countless health benefits, used all over the world. 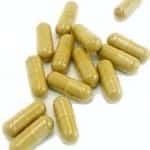 Across this history of thousands of years, how many serious illnesses or deaths or other dangers associated with kratom use have been reported? Zero. In fact, it’s widely known that kratom is safe to use for its broad range of therapeutic benefits, like stress-relief, lowering blood pressure, increasing stamina and concentration, even increasing libido. So, why enact a kratom ban? It makes about as much sense as banning a cup of coffee. Why a ban, and why now? Individual lawmakers, like Louisiana’s Senator A.G. Crowe are mounting misguided (though possibly well-intentioned) social crusades against the harmless plant. They erroneously compare kratom to illicit drugs, stoking hysteria in a public that hasn’t been given all of the information. We have only to look to Southeast Asia – the birthplace of kratom, to see where the media hype and hysteria regarding this plant might lead. Ironically, there is a kratom ban in effect in many of the countries where the tree naturally grows without any cultivation, like Thailand. In some cases, the penalty there is quite severe. Though it is rarely practiced, one can actually receive the death penalty for merely possessing the herb. Does that sound even remotely reasonable? And do we really want to see this trend gain strength in the U.S.? Unfortunately, a kratom ban will prevent the very research that will prove how harmless kratom actually is. As long as official government agencies and mainstream media outlets continue to bow to fear and misinformation, no funding will be granted for proper medical studies of kratom. Then, the cycle of ignorance continues. 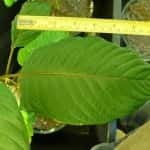 At present, Kratom is already illegal to sell for human consumption under FDA policy, but it can be legally sold as a research plant. This means that suppliers are not allowed to provide their customers with any advice or recommendations for how to safely use this plant. If anything, this leads to a much greater risk of misuse and abuse than if the FDA were to do nothing at all. For this reason, our mission statement at Kratom Online is to focus on solely providing information about how to properly use this plant as opposed to selling it ourselves. Luckily, kratom is still legal to possess in most of the world, and most of the states in the U.S. It is not a controlled substance under federal law and it’s active alkaloids have not been listed under any drug schedules in the Controlled Substance Act. Check to make sure that your state is still protecting your freedom to purchase and take kratom. 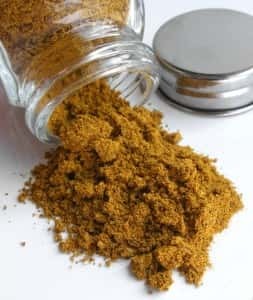 Then, if you’d like to try it for yourself, explore one of the popular websites like Arena Ethnobotanicals, which sell kratom and other ethnobotanical remedies legally and safely. Use this plant responsibly, as you would any alternative herbal remedy. Like millions of enthusiasts all over the world, you’ll probably find there is absolutely no reason to ban kratom. 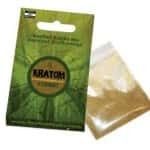 Enjoy the famous benefits of this natural plant, and then drop your local legislator a note to add your voice to the many who want to keep safe kratom use perfectly legal.